You will managing a team responsible for delivering a range of customer and transactional services such as coordinating individual or volume recruitment campaigns and assessments, progressing successful candidate’s offers, delivery of pre-employment screening checks and dealing with candidate’s questions through the recruitment lifecycle. There is a requirement for team members to make regular outbound calls to potential new joiners to proactively engage the individual ensuring they complete all necessary steps of the process in a timely fashion assisting in the delivery of recruitment targets. The successful candidate will need to be outcome driven supporting the team to deliver the overall workforce plan. This will include a requirement to assist in outbound calling with the aim of utilising influencing skills to secure new joiners who would otherwise have disengaged with the process. – Leading a small recruitment team – Motivate, and develop the team encouraging effective communication. – Deliver the recruitment service through the team which achieves all time, quality and cost requirements. -Adopts an approach to train, coach and mentor team members ensuring they have the knowledge, skills and tools to deliver the service. – Design resource plans which meet the business need ensuring the right resources are available to deliver the highest level of service. – Identify and manage improvements within own area. – Comply with regulatory requirements and standard operating practices where applicable. – Collect and provide statistical data/reports as required. – Create and maintains great relationships with a range of stakeholders and suppliers. SSCL is a joint venture between the Cabinet Office and Sopra Steria who delivers a range of high quality shared services for our Government and Police clients, enabling them to operate more efficiently and more effectively. 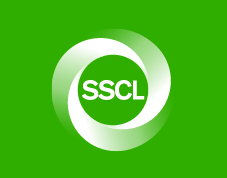 SSCL provide Finance & Accounting, HR & Payroll and Procurement as well as specialist client-specific services. SSCL has five UK Centres of Excellence and, by streamlining and modernising systems and processes in the back office, we are transforming the way these services are delivered – providing better value for our clients and better value for the UK taxpayer.